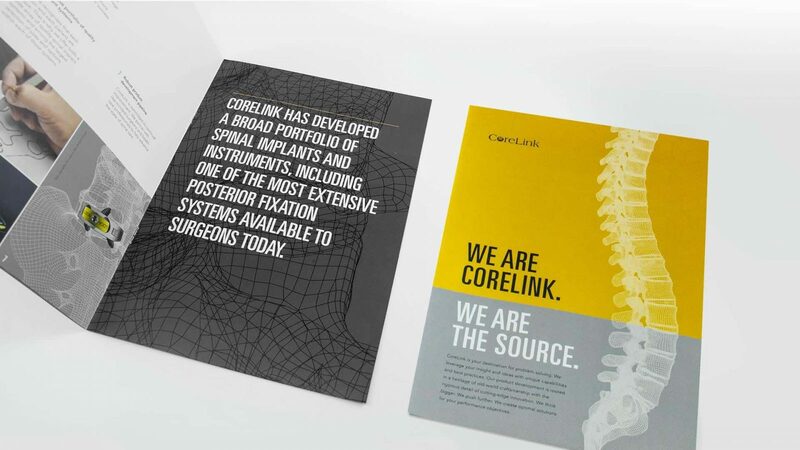 Evolve the brand position and visual language of CoreLink as the source for innovative design and manufacturing of high-quality surgical instrumentation and spinal implant systems. 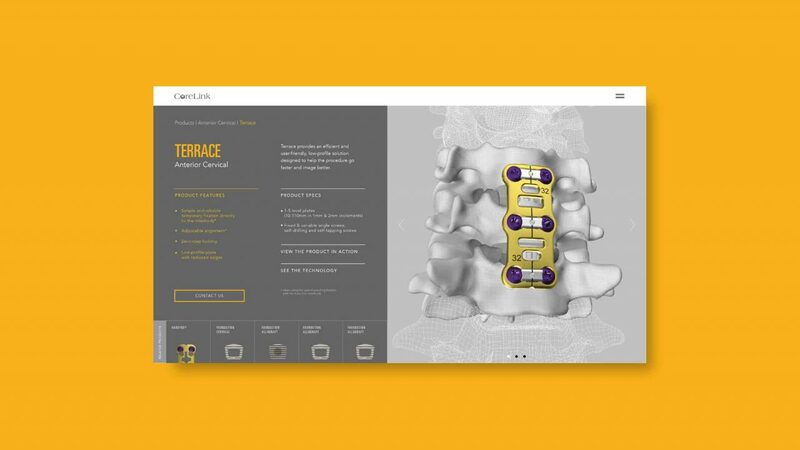 Illustrate the technical applications and surgical functionality of the product across all marketing communications. 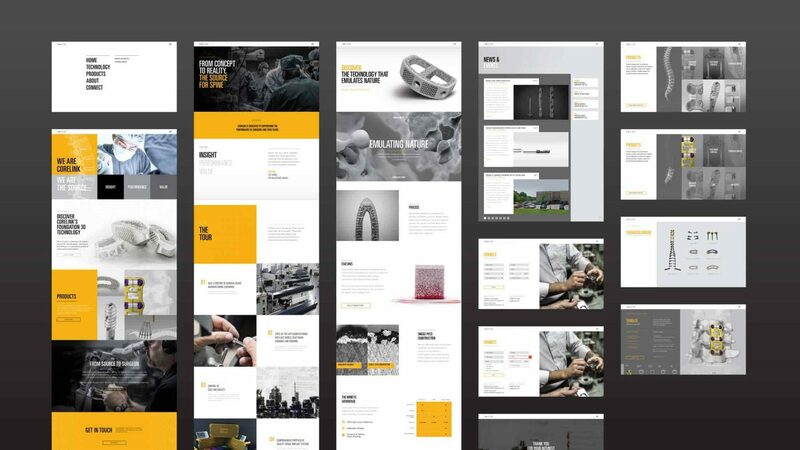 The ability to have custom visual assets built from the client’s product design system was key in communicating the brand’s innovative technical appeal. 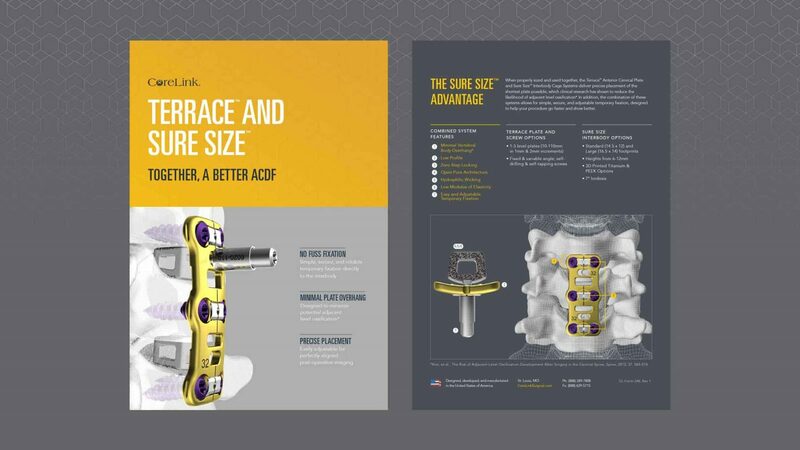 Formulate the brand’s strategic position and message platform as “The Source” for design and manufacturing of spinal surgical instrumentation, and a collaborative destination for the surgeon – where instrumentation design is customized to improve the methods and efficiency of individual surgical processes. Emphasize innovation and technology without losing the hand-tooled quality and personal relationship key to our past success. The design of the holistic communication system highlights the differentiating quality and innovative technology behind product development and manufacturing. 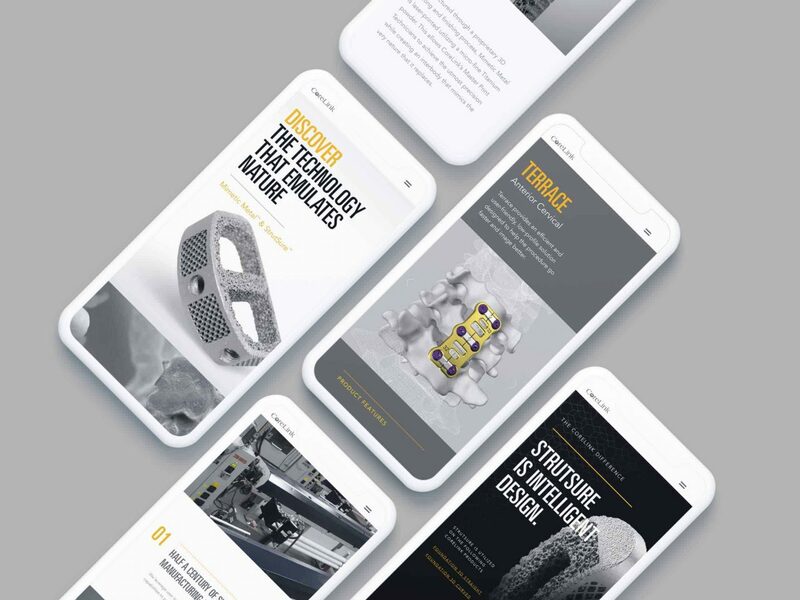 From old-world hand tooling craftsmanship to today’s innovative 3-D printing, the refreshed brand highlights the differentiating quality and innovative technology behind product development and manufacturing.